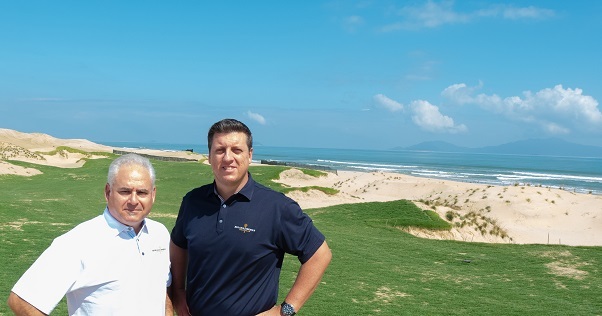 Hal Phillips (left) and Ben Styles on site at Hoiana Shores Golf Club. 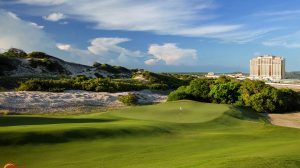 Hoi An, Vietnam: Hoiana Shores Golf Club, the Robert Trent Jones II design now taking shape amid a coastal dunescape shaped by Vietnam’s East Sea, has retained Mandarin Media (MM), Inc to handle international media/public relations. 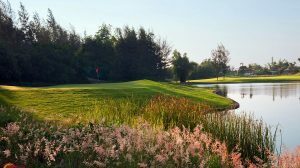 The golf property is on schedule to welcome invited play from June 2019. 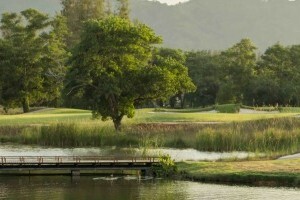 “We chose Mandarin Media and its principal, Hal Phillips, for the obvious reasons: no-one has more experience when it comes to international golf media matters, in general, and Vietnamese golf in particular,” said Ben Styles, Vice President of Golf & Residential Development at Hoiana Shores, a Golf Course Facility Member of the Asian Golf Industry Federation. “This is a world-class project with world-class ambitions but it’s also a product of the Vietnamese environment and culture. 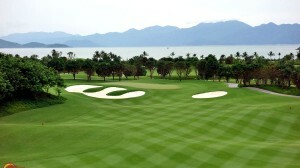 We felt Mandarin was the ideal partner to communicate the story of Hoiana Shores to golfers worldwide,” added Styles. 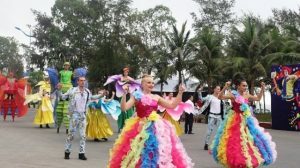 Founded by Phillips in 1997, Mandarin Media is based in the United States; its digital wing, Mandarin Digital Media, is based in Hue, Vietnam, some 100 kilometres north of Hoi An. 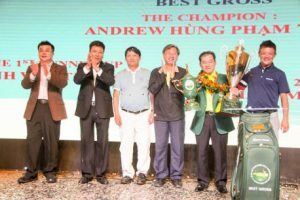 Starting in 2005, Mandarin Media was the first PR/media firm to strategically promote Vietnamese golf to international markets. 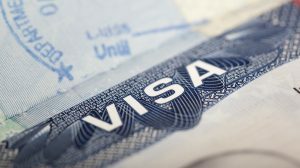 The firm worked with a half-dozen separate VN properties before launching the Ho Chi Minh Golf Trail — on behalf of those clients, and others — in 2007. 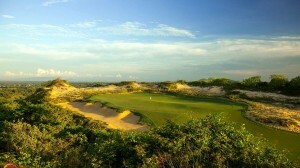 Since that time, Mandarin Media has worked with a succession of high-profile clients, across North America and around the golfing world, including Portugal (Oitavos Dunes), New Zealand (Cape Kidnappers, Kauri Cliffs, Tara Iti Golf Club), the Caribbean (Playa Grande in the Dominican Republic) and China (Mission Hills, the new Yangtze Dunes course at Lanhai International Country Club). 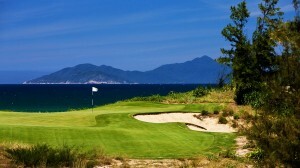 The Hoiana Shores Golf Club assignment brings part of Mandarin’s story full circle. 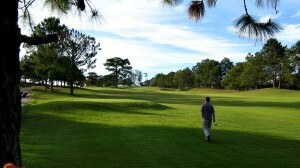 “In some important ways, MM’s early work in Vietnam and creation of the Ho Chi Minh Golf Trail put Vietnamese golf on the map,” said Phillips, who would go on to spearhead the creation of similar cooperative-marketing campaigns serving Thailand (Golf in a Kingdom) and Indonesia (Golf Wonderful).  “Fifteen years ago, what few golf courses existed in Vietnam were, in essence, selling a cultural experience, something new and exotic. 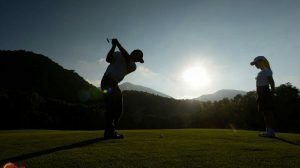 The Trail helped frame that for media and their golfing consumers abroad. 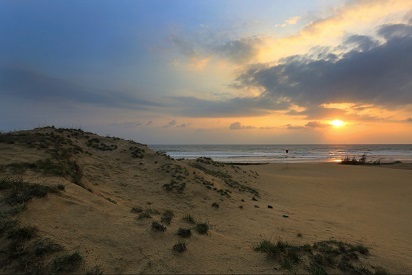 Sunset at Hoiana Shores. Picture by Gary Lisbon. 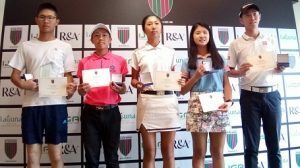 Styles’ experience in this country – and his role in raising the overall standard and profile of Vietnamese golf – is far more substantial. 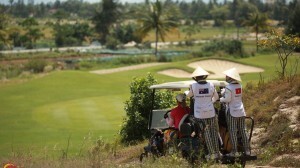 He arrived in Hoi An after serving as the Vice President of Golf at The Bluffs at Ho Tram, some 600 kilometres south of Hoi An, where he oversaw the project development, opening and operations of a Greg Norman-designed course. 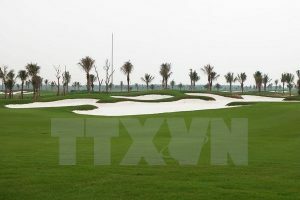 Before his tenure at The Bluffs, the Australian native served as General Manager of Danang Golf Club, another feted Norman design that took advantage of Vietnam’s gorgeous, sandy environs. 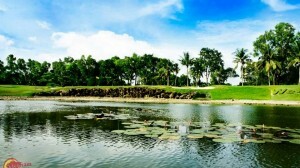 Styles has been heavily involved in promoting the Vietnam golf scene since 2007.